The college wants to assure control and accountability over the college’s assets and to comply with minimum standards as described in Chapter 30 of the State Administrative & Accounting Manual. 1. The Director of Business Services develops and administers property management processes and ensures the data integrity of the fixed assets system. Business Services will annually review and update these policies and procedures to determine if changes in technology or theft experience warrant inclusion of any additional items in the asset inventory. 3. Account managers will maintain physical control and maintenance over all assets (inventoried and non-inventoried) purchased and assigned to their unit. Account managers will develop internal procedures to control the use and distribution of all assets assigned to the unit. The college becomes responsible for all property upon delivery. The campus receiving/mailing operation will deliver non-computer property to the ordering unit or delegate delivery to someone else. Technical Support Services (TSS) will deliver all computer property. Business Services will tag all capital and small and attractive assets before they are delivered unless the task is delegated to another area. Business Services will assign and permanently affix college inventory tags and other identification markings on these assets as appropriate unless the task is delegated to another area. Technical Support Services (TSS) will affix college inventory tags to technology-related property as directed by Business Services. 1. All personnel must notify the Mail Processing Supervisor in writing prior to the disposal of surplus property except for computers and printers. Notification should include description, State of Washington tag number (if available), serial number and condition, and any other pertinent information. Upon receipt of a notification for disposal, the receiving/mail office will collect and store the reported property. Rolling stock and heavy equipment such as motor vehicles, construction equipment, and grounds equipment is stored at unit's location until the property is surplused. The receiving/mail office will use Surplus Programs, Department of General Administration (GA), State of Washington online Property Disposal Request System. http://www.ga.wa.gov/Surplus/procedure.htm for disposal of all surplus property. If the surplus property was a capital or small and attractive asset, Business Services will remove it from the fixed assets system. The Account Manager will submit a request to the Director of Business Services to sell the property directly if he or she believes that the value and marketability of the items being surplused would generate $5,000 or more for the college. The request will be evaluated by the Purchasing & Contracts Manager, the Director of Business Services and the account manager to determine feasibility. Given the total cost of an RFP process to all areas participating, only one attempt will be made to sell the property before it goes to Surplus Programs as defined in paragraph 5. If the decision is made to directly sell college property, the Purchasing & Contracts Office will follow a formal request for proposal (RFP) process consistent with state and college purchasing regulations to obtain competitive proposals. Business Services will deposit revenue received from the sale of surplus property through the college RFP process and the General Administration distribution process into the fund and division that originally purchased the surplus property unless otherwise directed. Units wanting to transfer surplus property or assets to another unit will send a written notification to Business Services. The gaining unit must submit a written acknowledgement of receipt of the surplus property or asset. Business Services will update the fixed assets system to reflect the transfer. For all assets transferred between auxiliary enterprise and general funds, the gaining unit must reimburse the unit from which surplus property or assets originated. The original and gaining units and Business Services will determine the amount of reimbursement based upon the agreed fair market value. The college encourages the use of trade-in opportunities where the trade-in produces the best value for the college. Trade-in must be on an equal or higher valued purchase and must be documented. Documentation will be attached to the purchase order issued for the new item and a copy placed in the asset file. Director of Computing and Communications must approve technology-related trade-ins prior to generating a purchase requisition. The purchase requisition should include the tag number of the property traded in. 2. All personnel must notify the Client Services Manager in writing prior to the disposal of surplus computers and printers. Computer and printer surplus property may be cannibalized for parts, recycled, or submit to the General Administration as determined by Client Services. Client Services will notify the Mail Processing Supervisor of all technology related equipment to be surplused. No one shall remove any item of college property (regardless of original funding source) from its assigned location without proper written authority. EXCEPTIONS: This does not include portable equipment used by students, staff and faculty in the normal course of College business such as equipment check out by Media Loan and Lab Stores. It also does not include equipment like laptop computers or digital cameras when used for College business. The borrower must seek approval from either the account manager or the divisional budget coordinator prior to the loan or temporary removal of any asset. The borrower must notify the account manager or divisional budget coordinator in writing of the asset loan, detailing where the asset is going to be. The responsible unit will retain a copy of the written notification in its permanent files. The borrower must notify the account manager or divisional budget coordinator when the asset is returned. College assets may only be used for official college activities. Assets may not be loaned to other organizations nor be used by college staff for personal use. If property is missing, the account manager must write a memorandum to the campus Police Services and to Business Services indentifying the item missing and the circumstances under which the item was lost or stolen. Upon conclusion of the investigation, the campus Police Service will forward a copy of the case report to Business Services. If it appears that the item may still be on campus but has just been misplaced, it will remain on inventory until the next full physical inventory. If it is not found in the next inventory, the Account Manager will initiate the process described above for stolen property. Each unit is required to complete a physical inventory of all capital and small and attractive assets every two years. Business Services will send the appropriate unit administrator a physical inventory request (in writing), instructions on how to conduct the inventory, and an asset list for the area. Each unit administrator will assign someone to be the property custodian for the unit. Business Services will assist the property custodians in locating assets and will provide general support of the physical inventory as necessary. Asset on inventory list but not found. Asset found but not on inventory list. Property custodians must sign each page of the asset listing to indicate completion. The unit administrator is responsible for returning the completed and signed asset listing within 45 days from the date of the physical inventory request. A report of the results of the campus-wide physical inventory will be filed with the Director of Business Services at the end of each biannual physical inventory. Account Manager - a person authorized to approve purchases on behalf of a college unit. Asset Value - the acquisition cost of an asset calculated 1) without regard for trade in allowance 2) including taxes, installation and/or calibration charges, 3) including freight and 4) including educational and other discounts. Capital Asset — an item or equipment with: 1) asset value over five thousand dollars ($5,000), 2) with a useful life greater than one year, and 3) legally considered either real or personal property. Such items must be purchased, transferred, coded, recorded, tagged and inventoried within the fixed assets system as described in these procedures. Capital assets are purchased using capital expense accounts 732XXX. Small and attractive assets - items or equipment with: 1) asset value cost between three hundred dollars ($300) and five thousand dollars ($5,000), 2) a useful life of one or more years and 3) considered sensitive and requiring property control. Such items must be purchased, transferred, coded, recorded, tagged and inventoried within the fixed assets system as described in these procedures. Small and attractive assets are purchased using capital expense accounts 731XXX. Weapons, firearms and all items in OFM commodity class 10XX. Items or equipment with a unit cost of $3,000 or greater. Non-inventoried assets - item or equipment with: 1) asset value between three hundred ($300) and five thousand ($5,000) dollars, 2) a useful life of more than one year 3) does not meet the definition of a capital or small and attractive asset. Such items must be purchased, transferred, coded, recorded, tagged and inventoried according to the internal procedures of each unit. Non-inventoried assets are purchased using goods and services expense accounts 727XXX. Fixed assets system - SCT Banner Finance - Fixed Assets system will be used to record and account for all capital and small and attractive assets. Accessories or attachments to assets - units or equipment with: 1) asset value over five thousand dollars ($5,000), 2) adds useful life to an existing capital asset and 3) does not replace the original asset. Such items must be purchased, transferred, coded, recorded, tagged and inventoried within the fixed assets system as described in these procedures. Fabricated asset - item or equipment constructed by a college shop or lab. Such items should be coded as equipment when the fabrication charges are made and treated as a capital, small and attractive or non-inventoried asset as described above. All labor, supplies, and materials used in the construction should be considered the asset value. The fabricator must notify Business Services to transfer, code, record, tag and inventory the item as soon as it is completed. Transferred asset - item or equipment received from another government (federal, state or local) agency (often with freight the only cash expenditure), treated as a capital, small and attractive or non-inventoried asset as described above. The original cost shown on the transfer document shall be considered the asset value. Gift - a capital, small and attractive or non-inventoried asset received without any college expense incurred.. 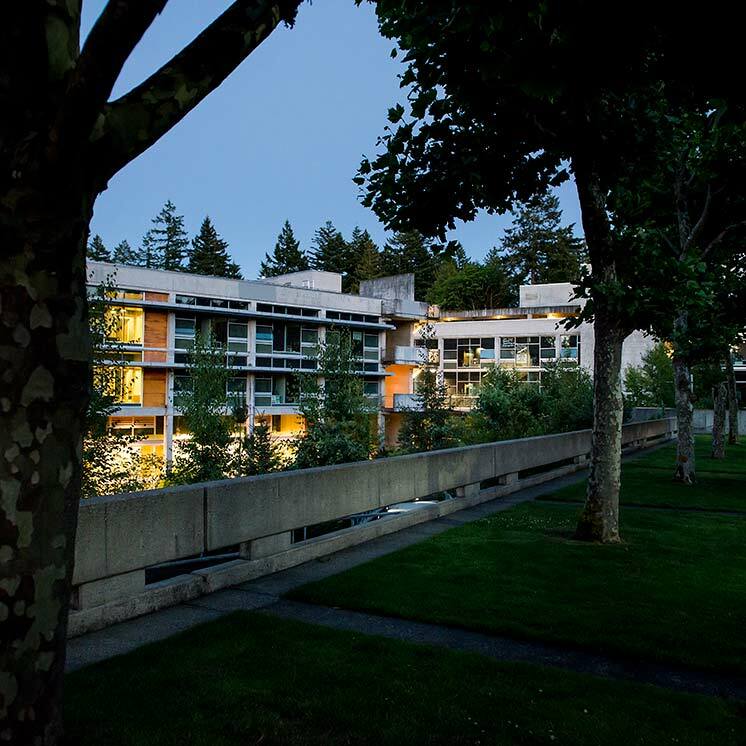 The Evergreen State College Foundation must officially accept all donations on behalf of the college, including gifts designated for a particular area or purpose. They shall notify Business Services in writing of the donation to include a description of the item, the receiving unit, location, value of gift, donor's name, and date received. The asset shall be treated as a capital, small and attractive or non-inventoried asset as described above. The value of the gift shall be considered the estimated fair market value. Property - any asset, material, equipment or supplies belonging to the college. Property custodian - person assigned by a unit administrator to maintain the unit’s property list and conduct the biannual physical inventory. Surplus property - any unserviceable, obsolete or excess college assets, materials, equipment or supplies, tagged and untagged regardless of whether or not the item is part of the college’s fixed assets system. OFM authority is granted in RCW 43.88.160(1) , RCW 43.19.1917 and RCW 43.41.150. Chapter 30.50.10 of the State Administrative & Accounting Manual issued by the Office of Financial Management, State of Washington.